If you haven’t yet entered my giveaway for your chance to win a Vega prize pack, be sure to do so! Today’s edition of Vegan Chews & Progressive News (#NewsandChews) features a hearty soup for the fast-approaching cool fall days, a creamy tart studded with one of my personal favorite fruits, a multidimensional dish from a restaurant cookbook that required an entire day to prepare, a more collaborative notion of charity, a call for resistance against climate change to come from below, and an upcoming book that needs pre-order support! When I return to my parents’ house for winter break from college, my mother puts soup on the dinner table nearly every night, much to the content and comforted bellies of my father and myself. I fully intend to ensure that this soup – rich with earthy lentils and brightened with Iranian flavors like mint, black lime, and sumac – weaves its way into our soup repertoire this January. Photo via Harmony a la Carte. I think that fresh figs will always seem like a huge treat to me, special and novelty no matter how often I purchase them (which proved pretty darn often this summer…). Though eating these perpetual personal delicacies right out-of-hand satisfies me to no end, I certainly wouldn’t pooh-pooh a dessert that incorporates figs – especially if that dessert also happened to involve a rich vegan custard in a sticky date-nut crust. With orange blossom water and saffron, this tart would provide a complementary ending to the soup above, now that I think about it. If saffron is out of your price range (aka, if you’re not swimming in a pool of dollar bills), turmeric will do the trick in imparting a deep yellow tone to this tart. In the spirit of radically altering our socio-personal relationships with one another in order to cultivate a society based on respect and community, philosophy scholar Fred Guerin envisions a model of charity that drastically departs from the current self-interested, patronizing, paternal system of the 1% projecting themselves as altruistic while enabling their control over the institutions at which they throw vast sums of money. This article particularly speaks to me with its willingness to deeply investigate the implications of and propose viable solutions to a very real problem. A well-done piece of work. Time and time again, social movements throughout history have proven that for concrete and lasting change to take place, its driving force needs to come “from below,” from the people bearing the brunt of society’s burdens and their allies. On the September 24 (one day after my mother’s birthday!) edition of Democracy Now!, two prominent earth advocates invoke this wisdom in the context of climate change. Though the segment opens with UN Secretary-General Ban Ki-Moon and Leonardo Dicaprio – two voices often privileged within the environmental movement – the broadcast focuses attention on the voices of two much less visible individuals, which I feel is important to note considering the tendency of media to prioritize advocates already receiving substantial coverage. Photo via Simon & Schuster. While I haven’t actually read this book (it hasn’t even been published yet! ), I’ve been listening to Allison and Jamie promote it every morning on Citizen Radio, and it sounds like a compelling, hard-hitting, and highly entertaining work (much like the duo’s daily podcast). Relaying the urgent news stories of our time accurately and fairly, Allison and Jamie provide a refreshing contrast to the corporate-controlled mainstream media. If you have the funds, I’d highly encourage you to pre-order the book in the hopes of generating popular attention for these groundbreaking journalists. On this 16th edition of Vegan Chews and Progressive News (#NewsandChews), I’m sharing with you all a simple yet thoughtfully composed bowl, flower-infused cookies, hands-down the most awe-inspiring birthday cake with which I’ve ever celebrated, some critical thoughts on this weekend’s People’s Climate March, a firsthand account of the neoliberalization of higher education from progressive journalist extraordinaire Mychal Denzel Smith, and a book that will expand your notions of slavery beyond what you’ve ever imagined. Onward! I’m not one to turn my nose up at a good vegan bowl, especially when it involves my favorite vegetable to roast (cauliflower) and my number-one legume of choice (chickpeas). Combined with the toothsome chew of hearty grains and the full-bodied crunch of pepitas, these humble ingredients promise a dish that amounts to much more than the sum of its parts. Of course, I would either omit the feta or replace it with a creamy, tangy, homemade cashew cheese, and would wholeheartedly encourage you to do the same! Photo via The Little Green House. The use of unorthodox herbs and spices in sweet applications woos me to no end, and chamomile has presented me with my latest culinary seducer. I would expect a soothing flavor and crisp bite from these chamomile-infused cookies, ideal for enjoying with a steaming cup of afternoon tea. Sub coconut oil for the vegan butter and coconut sugar for the regular sugar, and you have a less refined version of these comforting treats. Photo credit to Rhyston Mays. Photo via NYC Light Brigade / People’s Climate March via Facebook. In these past couple of weeks leading up to the People’s Climate March on September 21 – billed as “the biggest climate march in history” – I’ve heard only positive talk regarding the event. Of those I’ve encountered, students on my college campus and progressive media sources alike have spoken with high aspirations and revolutionary spirits of the event. And rightly so – the March will constitute a massive public demonstration highlighting a deeply and urgently felt concern for the future of the earth and its inhabitants. However, as this article from Quincy Saul points out, the March does not come without its drawbacks and potentially negative implications. I highlight this story not to squelch the well-meaning intentions of the climate activists involved in the March, or to pooh-pooh the spectacle that an event of this scale has already generated. Rather, I think that – as with any action, campaign, or organization working toward large-scale social change – we must constantly think critically and reflexively about our means of activism and their effects. This article does a fantastic job of applying this necessary critical energy to the otherwise largely unquestioned People’s Climate March. Photo via Tell the Bartender. After hearing him voice his always thought-provoking insights on my favorite progressive podcasts and reading similar insights in his pieces at The Nation, I’ve become an enormous fan of Mychal Denzel Smith. As such, I was thrilled to see his name on the lineup of the most recent episode of Tell the Bartender – a storytelling podcast hosted by vegan actor, writer, and comedian Katharine Heller. In the episode, Mychal tells of his tumultuous college years, focusing on his relationship as the editor of his campus activist newspaper with an administration invested in stifling the publication’s journalistic freedoms. Honest and compelling, Mychal’s story provides a firsthand account of the increasingly threatening phenomenon of neoliberalism’s effect on higher education. Included on the syllabus for my sociology course entitled “Black Intellectual History” is this eye-opening text on the Atlantic slave trade. While I (and I expect many others) grew up learning about slavery almost solely in the context of the southern United States, Grandin’s Empire of Necessity illuminates the integral role slavery played in the economic development of the Americas more broadly. Indeed, as Grandin effectively demonstrates, the economic successes of the Americas absolutely could not have happened without slavery. Grandin employs vivid firsthand accounts of African peoples’ experiences traveling, working, and struggling to survive in the New World of the 1800s that viewed them only as commodities, highlighting not only the physical but psychological traumas forced upon them. An important work in understanding slavery’s unwavering pervasiveness in North and South American societies. Check out this segment on Democracy Now! for an interview with Empire of Necessity author Greg Grandin. Brooklyn Restaurant Exploration: Dao Palate + Announcements! Before I get into today’s post, I’d like to point you toward the latest episode of the Our Hen House podcast, which features highlights from recent interviews on the OHH TV show. In between interviews, you’ll hear the voice of yours’ truly introducing each of the interviewees. Check it out! 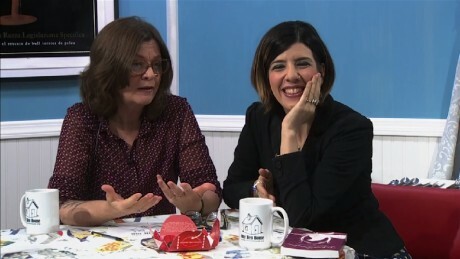 Mariann & Jasmin on the OHH TV show. I’d also like to announce the two winner’s of the Tastymakes raw, sprouted, vegan, organic, and gluten-free snack box giveaway. Congratulations to Samantha Matons and Theresa Norris! Enjoy your tasty, nourishing treats. I’ve hesitated to make this announcement until now, mostly because I’ve found myself in partial disbelief that such an ideal series of opportunities has unfolded before me in the past couple of months, and wanted to make absolutely certain of their reality before I went about publicizing them on the ol’ blog. Now, midway into June, I believe that I can confidently assert that, yes, these dream-worthy experiences legitimately constitute the actuality of my summer. Without further ado, I’m more than thrilled to announce that this summer, I’m living in Brooklyn, NY, interning with the multimedia hub of animal advocacy Our Hen House, and working part-time for both the vegan publishing house Lantern Books and the public policy action tank on the environment and animal agriculture Brighter Green. Needless to say, I’m honored and humbled to offer my time and energies to these change-making organizations, and I highly encourage you to pop around their websites and get to know their important work. In addition to working for three impressive groups, I also feel incredibly privileged to live in one of the most vegan-friendly cities in the country, and as such intend to partake in my fair share of restaurant-hopping. To recount my experiences with Brooklyn’s vegan scene, I’m excited to launch a temporary blog series similar to the DC Restaurant Exploration of last summer. But this time, FMV’s taking on Brooklyn. My first stop: Dao Palate. A favorite of my Brooklyn-native buddy and his entire non-vegan family, this 100% vegan pan-asian café delights eaters of all persuasions with its wide selection of colorful and unique appetizers, market-fresh local vegetables, hearty entrees that feature some of the tastiest plant-based meat I’ve encountered, and dense, rich cheesecakes. Dao Palate serves up all of these goodies and more in a gorgeous dining room paneled in mahogany wood accentuated with jade green decor and lit naturally through floor-to-ceiling windows. Additionally, I hugely appreciate their speedy service and reasonable prices, which prove impressively proportionate to the amount of food each dish provides (about $5 for an appetizer, $13 for an entree, $9 for a noodle or rice dish, $6 for dessert). Dao Palate dining room; photo via Dao Palate. Ranging from tempura to dumplings to scallion pancakes to avocado tartar to BBQ seitan ribs, Dao Palate’s appetizers prove perfect for sharing with the table. Rather unfortunately named “soy protein” on the menu, the anything-but-unfortunate entrees—which include mango soy protein, General Tso’s soy protein, orange seitan, and smoked teriyaki seitan—feature the most toothsome, substantially textured, and tender vegan meat I’ve ever tasted. And dessert? Look no further than the cheesecakes. Though not quite as impeccable as the cheesecake available at Hangawi, Dao’ Palates thick and creamy creations are available in chocolate, pumpkin, and raspberry white chocolate. From left to right: Avocado Tartar, Mango Soy Protein, Spinach Shumai; photos via Dao Palate. In addition to nibbles of my dining companions’ dishes, I’ve had the chance to sample two of Dao Palate’s entrees and one dessert. The first—the bibimbap, served in an always entertaining sizzling stone rice bowl—offered a stunning amalgamation of different tastes and textures, including such components as a brown rice base, a refreshing mango salsa, spicy and crunchy kimchi, a salad of hijiki seaweed and edamame, silky smooth steamed spinach, pleasingly chewy tofu sauteed in teriyaki sauce, and slices of avocado, all tossed in a spicy miso sauce. Full of surprising flavors, this dish could keep any diner happy on multiple visits to Dao Palate. Indeed, I almost ordered the bibimbap again during my second excursion to the restaurant, but persuaded myself to try a new dish instead. In the mood for noodles, I opted for the stir-fried soba with julienned vegetables and browned tofu. While I duly appreciated the uniform size and shape of the vegetables and tofu (Dao Palate clearly pays close attention to presentation), as well as the tangy stickiness of the sauce, after a couple of bites the dish became a bit monotonous. The dish certainly didn’t taste bad, but I don’t think that I’d order it again, as it simply ceased to interest me after I had eaten only half of the plate. After my less-than-optimal soba experience, I gave Dao Palate a chance to redeem itself with its raspberry white chocolate cheesecake—a dense slice of crumbly crust, oh-so creamy New York-style cheesecake, and tart raspberry jam, topped with swirls of whipped cream. Though the rich texture and characteristically cheesecake-y crust didn’t disappoint, the layer of raspberry and the whipped cream proved much too saccharinely sweet for my palate. I would definitely order a Dao Palate cheesecake again, but perhaps I would opt for the pumpkin flavor instead, in the hopes that it would harbor a more subtle sweetness. I wholeheartedly plan on returning to Dao Palate in order to get me one of their tantalizing soy protein dishes all for myself, and would certainly recommend this restaurant to anyone upon whom I wish an artfully prepared, hearty, and uniquely flavored meal. Don’t miss your chance to win a jar of body butter and a tube of lip butter from the all-natural and vegan cosmetic company Ellovi! Enter Farmers Market Vegan’s latest giveaway by Wednesday, April 2. My travel companion Gabe shows off the front of Il Vegetariano. I first discovered this 30-some-year-old staple of Florence’s vegetarian scene three years ago when I spent the summer with my aunt, and eagerly returned to introduce this popular, all-organic eatery to my travel companion Gabe. Luckily, from that summer I gleaned the experiential know-how about how Il Vegetariano works, so that I could lead Gabe along in the process. You see, Il Vegetariano’s set-up differs from that of a traditional sit-down restaurant, functioning in a more cafeteria-style manner. Upon entering the restaurant, the diner proceeds past the two dining rooms to greet the kind bespectacled man behind the ordering counter, seated beside a colorful blackboard that lists the daily-rotating menu of small plates, salad bar, entrees, and desserts. The diner puts their order in at the counter, pays, picks up a tray, and stands in the line in front of the salad bar/dessert counter to wait for another kind balding man to grab a freshly made plate from the kitchen, and/or to choose from an array of raw and cooked vegetables to enjoy in a salad. Finally, the diner can choose a seat in one of two mahogany-clad dining rooms with exposed brick walls, or on a covered patio just behind the restaurant. Dessert case, salad bar, ordering station, and pick-up counter at Il Vegetariano. During our visit, Gabe and I opted to enjoy the warm weather and took a seat on the patio. Peckish after meandering around the city all morning, we dove into our bowls of immensely savory brown rice pilaf with roasted artichokes, cauliflower, and parsley. Herbaceous and full-bodied, the pilaf’s flavor showcased just how complex simple vegetables and grains can taste. Of course, considering that Il Vegetariano describes their wide dessert selection as their specialty, Gabe and I simply had to sample a slice of a crumbly tart jam-packed with succulent pears and apricots. Certainly no complaints there, especially when my entire meal cost less than 10 euro. Brown rice pilaf with roasted artichokes and cauliflower. Gabe once again serves as my restaurant model. Venturing out for gelato after enjoying lunch at home became a favorite ritual of mine and Gabe’s during the latter portion of our stay in Florence. While we most often headed to Festival del Gelato due to its close proximity to our apartment, Gabe and I opted on one occasion to sample another of Florence’s famous gelaterias, founded in 1939 and known as Perche No! (aka “why not!”). Upon first entering the small shop, I noticed and hugely appreciated that the gelateria had separated its non-dairy gelatos into a separate cooler, making ordering much simpler for myself and others who avoid dairy. On the day that we visited, Perche No!’s non-dairy flavors included banana, dark chocolate, pear, soy-based hazelnut, soy-based vanilla, strawberry, lemon, and raspberry. Funnily enough, Gabe and I both chose the soy hazelnut and raspberry to satisfy our daily gelato quota. While both gelatos held the exact flavor essence of their respective fruit and nut bases, the soy hazelnut proved less creamy than the rice-based hazelnut that we often enjoyed at Festival (strange, considering that rice milk tends to hold a much thinner texture than soy milk!). Regardless, Perche No! boasts some darn tasty gelato. The “senza latte” (without milk) case at Perche No! A couple of weeks before arriving in Florence, my mother emailed me to express her excitement that she had discovered a newly opened vegetarian restaurant called Miso di Riso (translated to rice miso) along the main pedestrian street in her neighborhood. As such, I made it a point to accompany my mother to lunch at the eatery during one of my final days in Florence. Brightly lit, filled with verdant potted plants, and boasting a plethora of vibrantly colored décor, Miso di Riso provides a warm and welcoming atmosphere in which to enjoy some macrobiotic-inspired vegan noms. After ordering, my mother and I check out the dessert case to find such tantalizing creations as two mixed berry tarts, as well one with a semolina crust and chocolate ganache filling. While we opted to head to Festival del Gelato for dessert after our meal, Miso di Riso’s bakery selection definitely impressed me. Soon after we had sufficiently ogled at the dessert case, my mother and I received our plates. I chose to sample a savory tart of cauliflower and seaweed with a remarkably flavorful crust, accompanied by a meltingly tender pile of curried cabbage and a lightly dressed salad of gorgeous greens and shaved carrots. As for my mother, she opted for the tofu burger, complete with vegan mayonnaise and coupled with a colorful sauté of mixed vegetables, as well as a salad similar to mine. While both my mother and I “mm”-ed with delight at the features of our plate (the tart and burger) as well as at the impeccably fresh salads, the vegetable side dishes left us unimpressed—though tasty, they struck us as dishes easily made by any home cook. This new restaurant has a great base (and space!) on which to build, but it definitely requires improvement. About seven minutes before my mother, Gabe, and I planned to leave to see Stomp, my mother decided to call the restaurant at which we wanted to have dinner, only to find that they had no open tables for the night. Scrambling to find another eatery for the evening, we soon recalled another newly opened vegetarian restaurant that we had passed by on one of our evening passeggiare (walks), called Le Fate (translated to “the fairies”). With moments to spare, we secured a reservation and ran out the door to the theater. That scramble for another restaurant resulted in one of the best gastronomic decisions of my trip, as the meal that my family and I enjoyed at Le Fate will live on in the Seiter family memory for years to come. True to its name, Le Fate boasts a rather enchanting dining room and a mystical menu: the four appetizers find inspiration in the four elements (earth, water, wind, and fire), while each of the entrees corresponds to one of the twelve astrological signs. Upon noticing the struggles of our English-speaking family to decipher the Italian menu, our charismatic waiter called the chef out of the kitchen to explain in detail every dish—VIP treatment, eh? As a pre-meal amuse bouche, we each received a small crostini of house-made whole-grain bread spread with what I took to be an artichoke pate, served upon a leaf of soft and lemony sorrel. For an appetizer, the table opted to share a platter of house-made vegan cheeses and fruit compotes. Though I couldn’t discern the exact flavors of each of the cheeses, I could tell by the textures that two of them certainly featured agar-agar seaweed as a binder, while the other two seemed to be aged nut spread-type cheeses. Unfortunately, the latter two lacked the creaminess integral to satisfying cheese, though their flavors proved intensely complex. I have absolutely no complaints about the sweet and expertly spiced compotes, however. While I found the vegan cheeses a tad lacking, there was absolutely nothing subpar about any of our entrees. Indeed, every bite (both of my own dish and stolen from the plates of others) offered a new flavor and mouthfeel, providing for a hugely interesting and astronomically delicious meal. The only diner of our party to order the dish that corresponded to their actual astrological sign, I chose the Vergine (Virgo) plate as soon as I heard the chef say “dates,” “fennel,” and “homemade basil tofu.” The bowl of homemade noodles coated in a creamy, succulent sauce of dates and caramelized fennel that I enjoyed that night still enters my dreams. Providing textural contrast to the silky pasta were leaves of bitter radicchio spread with house-made basil tofu and topped with orange segments and toasted hazelnuts. An inspired dish. My mother opted for the Gemelli (Gemini) plate, which featured a bowl of fluffy-on-the-inside-crusty-on-the-outside biscuits in three savory varieties, accompanied by a number of spread and toppings: a mild golden chutney of onions and apples, a rainbow-colored salad of minced peppers, a fluffy and cloud-white vegan mayonnaise, oil-marinated heirloom white beans, and quenelles of smooth hummus. Um, wow. Finally, both Gabe and my father chose the Capricorno (Capricorn) plate: creamy black lentil soup topped with a puree of white root vegetables, served alongside perfectly round balls of falafel with carrot-tamarind spread, and rounded out by a salad of mixed greens and ripe berries. Need I say more? Though we all found ourselves too full to enjoy dessert, we did end the meal quite enjoyably by speaking with the bubbly owner of the restaurant—a longtime vegan and astronomer who gave us each our horoscopes before leaving. Le Fate’s inviting atmosphere, it’s enormously hospitable waitstaff, and its inspired and tantalizing culinary creations have earned a top spot on my list of most memorable travel restaurants, and I can hardly wait to return during my next trip to Italy (crossing my fingers that it’s soon!). Though I probably experienced one of the more perfect spring breaks of my entire life during the past two weeks, I’m happy to find myself back at school and among the community of my on-campus vegan living cooperative. I can’t wait to see what’s in store for the spring on Farmers Market Vegan! Welcome, dear readers, to round two of my special post series for the month of March: “Farmers Market Vegan Goes to Italy”! My last post, reaching you from the art-filled city of Florence, offered you a taste (pun very much intended) of the first of my vegan adventures during my two-week stay in Italy; check it out to fulfill your daily quota of quaint cafes, traditional Neapolitan pizzas, and dairy-free gelato. In the days following my last post, I and my travel companion Gabe have continued our slow and steady touring of the city, journeying to Piazzale Michelangelo, an elevated square in Florence’s Oltrarno neighborhood that offers breathtaking panoramic views of the city (and the trek up the steep winding roads to the Piazzale will also take your breath away). In addition to the sightseeing above and the restaurant exploration below, I also discovered a storefront of the vegan cosmetic company LUSH, which practices ethical product sourcing and actively combats animal testing. Further evidence of a growing consciousness of animal rights in Italy! Touted as Florence’s second-best open-air market (close behind the Mercato Centrale), Mercato Sant’Ambrogio offers a colorful bounty of fresh produce alongside artisanal bread, marinated jarred veggies, and other goods. Open everyday except Sunday, the market is located just around the corner from my parents’ apartment, and my mother and I pay it a visit on most mornings (in much of Europe, grocery shopping happens on a daily rather than weekly basis like in the U.S.). Spring has arrived here earlier than in the States (not too excited about returning to a snowy New York in a couple of days), and the market accordingly boasts piles of green goodies like artichokes, fava beans, delicate greens, and Romanesco cauliflower alongside early fruits like strawberries and pears. Much of the produce has made appearances in the dinners that I and my mother have cooked at my parents’ apartment, including steamed artichokes served with vegan aioli; platters of roasted veggies; crisp and simple salads; and breakfast bowls of fresh fruit, granola, and hazelnut milk. From top right: globe artichokes, zucchini with blossoms, Romanesco cauliflower, enoki mushrooms, mixed lettuce, and fava beans. The La Raccolta dining room. A natural foods store complete with non-dairy milks of every ilk, ancient grain bread, dried seaweeds, and a well-stocked bulk section comprises the front of La Raccolta, while through a doorway in the back you’ll find a macrobiotic restaurant in an inviting dining room with walls lined with brightly colored art of various African animals. Along with the Mercato Sant’Ambrogio, the grocery section of La Raccolta has provided an almost-daily destination for me while in Florence, fulfilling all of my soy yogurt, non-dairy milk, granola, and apple cider vinegar needs. Due to the pretty steep prices of La Raccolta’s restaurant, however, I’ve only dined there once during this particular stay in Florence—but boy, do I always enjoy my meal there. Vegan items make up the vast majority of La Raccolta’s impressive menu, complete with whole-grain pasta dishes, seitan scallopini, and macrobiotic-style vegetable dishes accompanied by lip-smacking sauces. Despite such an extensive menu, however, I’ve ordered the same dish on all three of my past visits to La Raccolta (I first ventured there three summers ago when I lived with my aunt for three months): the mixed platter. This substantial plate is composed of 7-10 separate preparations of roasted, steamed, and sautéed veggies embellished with creamy sauces, accompanied by fresh raw salads and more hearty grain and bean dishes. On the platter pictured below, I found (from the top of the plate and working clockwise) a gingery sauté of cabbage and carrots; herb-roasted potatoes; a crisp salad of lettuce and shaved carrots in olive oil and vinegar; a delicately flavored mash of fava beans; parsley-packed orechiette (ear-shaped pasta) with broccoli in a creamy sauce; herb-roasted kabocha squash; steamed purple cabbage in a bright yellow-orange sauce; and steamed broccoli and green cabbage in a tahini sauce. All so simple, yet so lovingly prepared and bursting with freshness. After such a pleasant savory experience, I couldn’t help but sample one of La Raccolta’s many vegan dolci (desserts): a multi-layered pastry similar to phyllo dough stuffed with almond cream and topped with caramelized pears (known in Italy as mille foglie, or “cake of one thousand sheets”). A transcendental experience. Gabe and I have made a point of enjoying una coppa of gelato once per day, for no afternoon ritual can beat reveling in creamy, artisanally prepared yumminess that tastes exactly of the real fruit, nut, or other edible that comprises its flavor. One of Florence’s most popular gelaterias, Festival del Gelato finds itself right next to the Duomo, one of Florence’s most popular tourist attractions. In addition to a number of fruit-based gelatos that contain no dairy (including mango, strawberry, and lemon), Festival boasts two rice milk-based gelatos (cappuccino and nocciolia, aka hazelnut), neither of which, as an added bonus, contain sugar! Surprisingly, Festival’s rice milk gelatos prove creamier than those based in soy milk that I’ve enjoyed at other gelaterias, though their fruit-based gelatos tend to harbor an ever-so-slightly more diluted fruit flavor than other gelatos I’ve sampled. I feel like the spectacle of their neon lights make up for this disappointment, though. That’s all for this round of vegan Florentine extravaganzas! Look out for my next post on eating vegan in Florence. Don’t miss your chance to win a prize pack—including free product coupons, a t-shirt, and a vintage-style metal lunchbox—from Tofurky! Be sure to enter Farmers Market Vegan’s latest giveaway by Friday, March 22. Buongiorno from Florence! As I mentioned in my recent post regarding the connections between eating disorders and digestive complications, you, dear readers, can expect a number of posts relaying my adventures in Florence, Italy during the upcoming weeks. My parents have subletted an apartment here until late April—joining my aunt, a longtime resident of the city—and have graciously invited me to spend my college’s spring break in the art capital of Italy. In the days leading up to my departure, I encountered many inquiries from friends concerning the availability of vegan food in Florence. To their surprise, I informed them that navigating Italy as a vegan proves incredibly easy—moreso, probably, than navigating many areas of the U.S. For example, a vegan in Italy can always find an animal-free pasta dish, even if that comprises of a simple bowl of spaghetti and tomato sauce (it’ll be the best damn spaghetti and tomato sauce you’ve ever had, too). A vegan in Italy can always order pizza with tons of veggies and no cheese. A vegan in Italy can always enjoy gelato, since all fruit-based gelatos contain no dairy or eggs. A vegan in Italy can gorge themselves on every type of bread imaginable. A vegan in Italy can always find the freshest of vegetables—grilled, marinated, tossed in green salads, and served with plenty of olive oil. A vegan in Italy can always find olives. What more could you need? Gabe’s first true gelato experience! Mmm, vegan blackberry and rice-based hazelnut. In addition to the inherently vegan aspects of Italian cuisine, I’ve also noticed a proliferation of uniquely vegan goods and restaurants in Florence. I know of four well-stocked natural foods stores, all of which boast soy/almond/rice/hazelnut milks, soy yogurt, marinated tofu, seitan, vegan mayonnaise, and animal-free pastries. Five all-vegetarian restaurants have done successful business for at least the past four years, one of which has enjoyed a cult following since 1981. Hole-in-the-wall panini shops have begun advertising vegan sandwiches on their outdoor menu displays. Waiters understand the word “vegan” rather than having to interpret my horribly pronounced “Che sono qui senza latte ni carne?” (“Is there anything here without milk or meat?”). Yes, eating animal-free in Florence poses no difficulty for your average vegan traveler. During the first couple days of our two-week stay in my parents’ Florentine apartment, my travel companion Gabe and I acclimated ourselves to the city in the most effective and enjoyable manner possible: trekking on foot through the cobbled streets. On most of our excursions, we simply stepped out of the apartment and started walking, map in hand but with no plan. The familiarity of Florence and ability to navigate it surprised me; I hadn’t visited the city since the summer of 2011, yet I remembered the streets, shops, and neighborhoods that I’ve known sporadically since infancy. Our walking adventures led us through the Mercato di Sant’Ambrogio (the outdoor produce market near my parents’ apartment), to grocery shop at La Raccolta (my favorite natural foods store and macrobiotic restaurant), across the Ponte Vecchio and to the arsty Oltrarno neighborhood (which literally translates to “the other side of the river”), through the Palazzo Pitti and its Giardino di Boboli (the palace-turned-museum and adjoining gardens), and of course through all of the piazzas that form the basis of Florence’s street layout. A more structured adventure took us through the home of Michaelangelo’s family—known as Casa Buonarotti—led by my talented art historian of an aunt. My parents and cohorts (Gabe and Connor) getting ready to tour Michaelangelo’s house. This adorable café, clad in painted Florentine tiles and aqua-blue décor, provided haven for my parents when the WiFi in their apartment died for a week. Offering free internet access alongside a selection of organic and vegan-friendly baked goods, smoothies, juices, sandwiches, and salads, Le Vespe Café provides an ideal homey atmosphere in which to while away the hours with spring break schoolwork. Gabe and I have spent a number of our afternoons working in the café, but have only enjoyed a bit of edible fare, including a berry smoothie and a cardamom-cinnamon spiced latte known as Indian Kofi. I hope to return to Le Vespe during the lunch hour to sample their tofu scramble, homemade veggie burger, tofu salad, and vegan red velvet cupcakes. My parents stumbled upon this unassuming, wood-fired pizzeria on the first night of their three-month stay in Florence, only to find out later from my aunt that the Florentines regard its pizza as the highest quality pies in the whole city. On the third night of my visit, Gabe and I joined my parents, my aunt, and my 11-year-old cousin to experience the traditional Neopolitan pizza that the city of Florence (apparently) raves about. Though not a vegan establishment in any sense of the word, Il Pizzaiuolo does offer a number of animal-free pasta dishes (one of which my father enjoyed that consisted of spaghetti, tomato-basil sauce, and capers) and veggie-loaded pizzas. Two pizzas on the menu—the Marinara with tomato sauce, oregano, and olive oil; and the Boscaiola with tomato sauce, mushrooms, artichokes, oregano, and basil—are vegan as-is, while even more pizzas lend themselves well to veganization. For example, I opted for the Vegetariana with tomato sauce, eggplant, zucchini, and bell peppers and requested no mozzarella cheese, which the waitress happily obliged. Indeed, the Florentines have judged Il Pizzaiuolo correctly—the tender yet crunchy crust, charred flavor from the wood-fired oven, sweet tomato sauce, and succulent veggies all serve to render Il Pizzaiuolo’s namesake items mouthwateringly delicious. Vegetariana pizza with eggplant, zucchini, bell peppers, and arugula. Boscaiola pizza with mushrooms and artichokes. I frequented the all-vegetarian 5 e Cinque during the summer that I lived with my aunt in Florence three years ago, and excitedly returned with Gabe for lunch while in the city’s Oltrarno neighborhood. Sporting not but five tables (hence the name) in a brightly lit dining room on a small piazza, 5 e Cinque serves a selection of artisanal yet unpretentious vegetarian dishes (many of which are vegan-friendly) and specializes in the thin, crunchy-on-the-outside-creamy-on-the-inside chickpea flour pancakes known in Italy as cecina (and in France as socca). During our lunchtime visit, Gabe and I both started off with a slice each of cecina, hot out of the oven and brought to our table almost immediately after we ordered. While we waited for our entrees, Gabe and I munched on some soft, salted bread for which we didn’t even get charged (Italians have a habit of bringing to your table supposedly free items like water then adding them to the bill without telling you). To follow, I licked clean a pilaf of farro (an ancient wheat berry) and spicy broccoli served over a succulent puree of winter squash, while Gabe reveled in a steamy bowl of curried vegetables served with a scoop of couscous. Impressively delicious and surprisingly inexpensive, 5 e Cinque holds a special place in my heart. Cecina, hot out of the oven. Spicy farro & broccoli over squash puree. Just across the piazza from 5 e Cinque resides a tiny gelateria that offers house-made, artisinally prepared gelatos of unique flavors. To boot, they feature a blackboard of that day’s available flavors, separated into those con latte (with milk) and those senza latte (without milk, vegan, yay!). 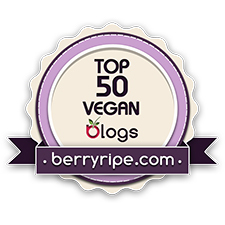 On any given day, their vegan selections include a number of fruit-based gelatos (that taste like the essence of fruit packaged in a creamy dessert) as well as at least one almond milk-based gelato. On this particular visit to Gelateria della Passera, I opted to try the pera (pear) and carezza (almond milk base with chamomile) flavors; the former boasted tiny flecks of pear skin while the latter held an intense flavor of marzipan. Divine. Stay tuned for my next post of Florentine adventures! Fair warning, dear readers—I’m planning a hibernation from the blogosphere from the moment I conclude this post until Saturday, December 21. As the end of the academic semester nears, my studies (read: mountain of essays) require my full attention, and the ol’ blog must fall by the wayside for a bit. Fear not, however, for December 21 marks the beginning of my winter break, during which I plan to return to my thrice-per-week posting routine of yore. Additionally, I’ve let go of a handful of extracurricular commitments for the spring semester, in part to allow for a sustained level of relatively high-frequency blogging. So bear with me for the next three weeks—the end of the academic tunnel shines bright! Though I’m already anticipating winter break, I actually just returned to campus from a three-day Thanksgiving extravaganza in New York City, accompanied by my dear parents. Last November marked the onset of our family’s current Thanksgiving tradition of celebrating in NYC, and we enthusiastically did so again this year. Deeply appreciating the irony of enjoying Thanksgiving dinner at a restaurant whose culture lends absolutely no consideration to the problematic holiday, my parents and I returned to Korean vegan restaurant Hangawi for the second consecutive Thanksgiving. Seated on colorful pillows at sunken wooden tables while not wearing shoes, I reveled in my family’s redefinition of a holiday steeped in the slaughter of over 5 million turkeys, the impending blatant consumerism, and the violent colonialism of American settlers still present today. Instead, Thanksgiving for me now means reuniting with my beloved parents, exploring an ever-exhilarating city, and chowing down on sizzling stone bowls of crispy brown rice and succulent veggies. In the above collage encompassing our dinner at Hangawi, the top two photos on the right depict shared appetizers of a plate of tempura-fried kabocha squash, broccoli, eggplant, and carrots (aptly named “Fritters Galore“); and another of shiitake mushroom caps stuffed with what I believe to have been a mixture of sautéed tofu and herbs. Light, crispy, and served with a sweet dipping sauce, the fritters provided a delightful beginning to our meal, while the stuffed mushroom caps served as an intriguing dish bursting with umami flavors. For our entrees, all three of us ordered the sensory experience of a sizzling stone rice bowl—my own Organic Zen Stone Bowl contained crispy brown rice, juicy wilted mountain greens, toothsome mushrooms, and shredded zucchini and carrots in a mild dressing of chili paste. In between mouthfuls of hot rice, we snagged bites of spicy and sour kimchi from a communal plate. Too enamored by the savory portion of our meal to pass up dessert, my parents and I opted to split a slice of spiced soy cheesecake, garnished with slices of fresh persimmon. This cheesecake may constitute the most impressive edible that entered my mouth during my four days in NYC, and my father more than adequately reiterates this sentiment with the following quote: “This cheesecake is easily better than any dairy-based cheesecake I’ve ever had.” Coming from a man who has celebrated his birthday with a cheesecake every year since childhood, I’d call this quite the victory. The next afternoon, after an enlivening yoga practice at the ideologically vegan studio of Jivamukti, I eagerly introduced my parents to my most recently discovered restaurant gem of M.O.B (check out my rave review of the establishment here). Though rather abbreviated from their dinner menu, M.O.B’s lunch menu still includes their impressive vegan charcuterie in the form of a hearty, chewy crimini mushroom-lentil burger loaded with “secret sauce,” Brooklyn Brine pickles, and cashew cheese on a fluffy sweet potato bun. My father, myself, and my good friend Gabe (a native Brooklynite who met up with my parents and I for lunch) each ordered the burger, while my mother opted for the daily M.O.B.—a flatbread in the shape of the arches of the Brooklyn Bridge heaped with sautéed kale and shiitake mushrooms, horseradish aioli, and shaved nut cheese. M.O.B. also offered a special that day of roasted brussels sprouts in paprika aioli, which my mother and I could not forgo. After bidding goodbye to Gabe, my parents and I trekked northward to Williamsburg to experience the unparalleled decadence of Dunwell Doughnuts. I had patronized Dunwell’s on multiple past NYC excursions with Gabe, and brimmed with excitement to introduce my parents to the unquestioned best doughnuts in NYC (not the best vegan doughnuts, mind you; the best doughnuts. Period). Positively captivated by the glass case of fluffy, glazed fried dough, my father ordered six doughnuts for the three of us to enjoy during our remaining few days in the city. My father’s obsession only grew upon first bite of a maple-glazed doughnut, and demanded that we snap multiple photos of our family at the shop to share with his siblings on Facebook (funnily enough, one of my father’s sisters married a man named Dunwell, which only furthered my father’s insistence on photo-taking). Along with the maple-glazed that my father first enjoyed, the varieties of our half-dozen doughnuts included chocolate-glazed with almonds, chocolate-glazed with coconut, and strawberry buttercream-frosted with coconut (otherwise known as the “Pink Lady). Plenty of walking around Williamsburg helped us work up another appetite, pointing us toward another favorite family restaurant of Angelica Kitchen for dinner. Forgoing appetizers (except for a small dish of kimchi. You can’t miss Angelica Kitchen’s pickles!) since we knew to expect gigantic entrée portions, my parents and I ordered our main dishes straightaway. My mother opted for the night’s special of a tomatoey lentil stew topped with roasted brussels sprouts and accompanied by steamed greens and pickled vegetables, while my father and I both ordered the “Dish a Dixie”—a new, southern-inspired addition to the menu consisting of grilled tempeh in barbeque sauce, a crispy coleslaw in a creamy almond dressing, steamed greens with maple-glazed pecans, and a generous wedge of maple cornbread with green chilis. While I adored the robust nuttiness of the tempeh (produced by an artisan company in Philadelphia), my father found the flavor too strong, and questioned whether one could truly call the sauce “barbeque,” since he thought that it lacked adequate tanginess. Even if the tempeh did not live up to its full potential, the cornbread—an absolutely perfect balance of moist, dense, fluffy, and bursting with corn flavor—certainly helped to redeem the dish, as did the surprisingly delicious coleslaw. For our final full day in the city, my parents and I ventured to two restaurants that we had never before patronized: Peacefood Café for lunch and V-Note for dinner. I had heard glowing reviews of both eateries from multiple reliable sources, and found myself quite impressed with both. At Peacefood Café, I experienced a craving for a good ol’ salad, and opted to try the Asian Greens Salad—a mix of tender baby greens, crunchy jicama, shredded carrots, and diced tomatoes in a bright, tangy dressing of garlic, ginger, cilantro, ponzu, and sesame, all topped with thin strips of marinated baked tempeh. Paninis caught the eyes of both of my parents. My father—ever infatuated with seitan—ordered the Fried Seitan Medallion Panini with cashew cheese, arugula, tomatoes, and pesto, while my mother—ever infatuated with Mediterranean cuisine—ordered the Mediterranean Oven-Dried Vegetable Panini with cashew cheese, basil-spinach pesto, and tender broccoli, brussels sprouts, and cauliflower. In between bites of our salads and sandwiches, we munched on a plate of Indian-spiced chickpea fries—crispy on the outside and creamy on the inside—with the creamiest aioli I’ve ever experienced (yes, I licked the aioli dipping bowl clean). Too satisfied from our entrees to consider dessert, we opted not to partake in the many offerings in the bakery case; though, considering the tantalizing variety of sweets, we certainly must return to Peacefood Café in the near future. From upper left continuing clockwise: raw coconut cashew cheesecake topped with pistachios; gluten-free veggie biscuits and iced cinnamon rolls; banana bread; strawberry shortcakes; carrot cake with cream cheese frosting; peanut butter cheesecake (all vegan, of course!). After lunch, my parents and I moseyed over to Broadway to catch a 3-hour matinee performance of my favorite Shakespeare play—Richard III—before heading to the upper east side for dinner at the vegan wine bar and bistro known as V-Note. V-Note’s atmosphere provides an immediate sense of comfort: cream-colored faux-leather benches line the mahogany walls, fluffy geometrically patterned pillows grace every seat, and candles burn brightly. Seated at the back-most table, my parents and I began scanning the extensive (yet not overwhelming), varied, and unique menu, complete with full sections of starters, salads, entrees, and sides. Though we could have easily created a meal simply by sharing a number of starters (as I’m sure many V-Note patrons do, given its purported status as a tapas-style restaurant), my parents and I decided to split one appetizer and each order entrees, my father seeking to also leave room for dessert. We began the meal with the Mushroom Calamari Fra Diavlo—herbed and breaded mushroom rings served with a tangy cocktail dipping sauce and a squeeze of lemon. Though lacking the hearty, “meaty” texture of many robust mushrooms (indeed, I thought the rings proved a bit soggy), the calamari harbored a satisfying slippery texture, a toothsome crunch from the breading, and an unctuous flavor, while I probably could have drank an entire glass of the homemade cocktail sauce. While I found the appetizer a tad lacking on the texture front, I forgot my slight discontent as soon as I took the first bite of my entrée, the Tofu “Salmon” with Mushroom Scallops—a slab of beet-marinated and grilled tofu topped with a dilled leek tartar sauce and shaved fennel over crispy black rice and tender broccolini, served alongside medallions of lobster mushrooms atop a white wine-mushroom reduction. To my immense surprise, the tofu reflected quite accurately the smoky flavor and flaky, charred texture of grilled salmon steaks, especially when coupled with the piquant tartar sauce. Seeing as salmon constitutes the only animal food for which I’ve ever experienced cravings of any sort, this dish left me duly contented (not to mention incredibly close to licking the plate). As for my parents, Mom ordered the Creamy Three Mushroom Risotto—a mix of shiitake, trumpet, and cremini mushrooms studded with sweet peas in a Dijon mustard sauce—while seitan-loving Dad opted for the Seitan Cordon Bleu—breaded seitan cutlets served with dilled and truffled mashed potatoes, sautéed swiss chard, and a shiitake reduction. Needless to say, both of my folks sang the praises of their respective dishes. Only my father had tummy space left for dessert, and excitedly partook in the Chocolate Ganache Cake—a three-tiered cube of creamy chocolate ganache and peanut butter mousse served alongside a scoop of ice cream. Pure decadence. While my parents and I had reservations for brunch at Candle 79 the next morning, we had to cancel due to complications to my travel plans because of the train derailment on the Metro-North railroad. Rest assured, I returned to school safely, though the events certainly shook both my parents as well as the greater Vassar community. My heart goes out to the families affected by the accident. On that rather somber note, dear readers, I bid you farewell for the next three weeks! Wish me luck in scaling my mountain of schoolwork.